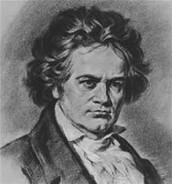 Beethoven is a worthy composer to study because he has a unique story about hios child life and his musical nlife. His child hood was vey unhappy and poor. Also Beethoven dad used Beethoven to get money. Sometimes his father lies about Beethoven age to make more money. When Beethoven was a child all of his family members died. His musical life was very successful. 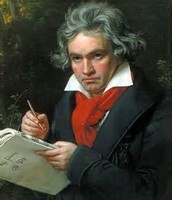 It was very successful because Beethoven created many famous compostion. For example ODE to JOY. If I was Beethoven I would feel very sad and disappointed. I would use music to keep my emotions to myself. 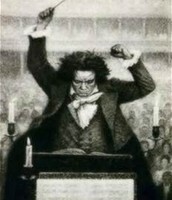 I can relate Beethoven's life to my because when he had so many deaths he felt very sad. I can relate this to my life because my Grandfather died and I was never born when he was alive. This made me really sad and curios. Also my brother's Godfather had died and this was also my cousin which made me very sad. --Most famous composition was "Ode to Joy." This quote means to me is that music is another side of you. 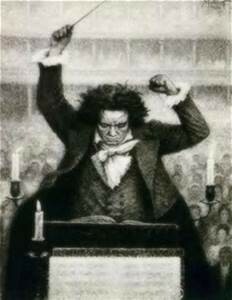 ---Having left school at age 11 to help with household income, Beethoven never learned how to multiply or divide. To his last day if he had to multiply, say, 60 x 52, he’d lay out 60 52 times over and add them up.